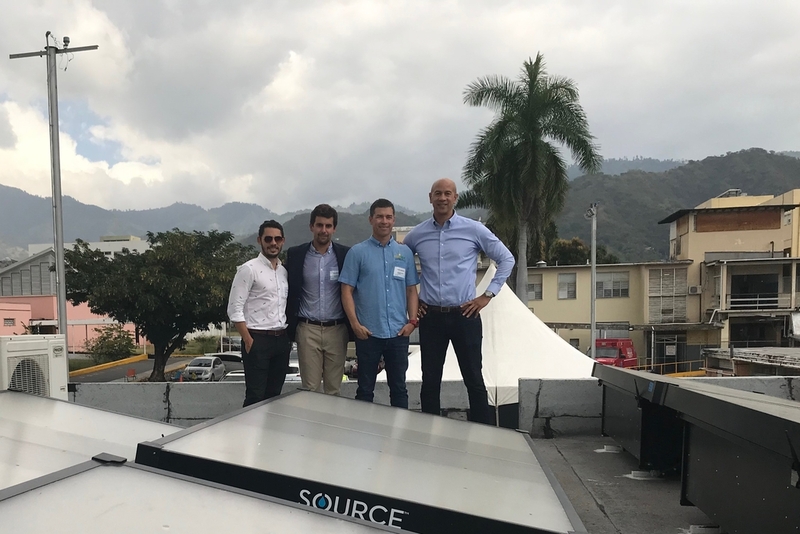 From left: Dr. Masao Ashtine, Lecturer-Renewable Energy Systems, University of the West Indies; Nate DeFlavio, Business Development Manager - Caribbean Islands, Zero Mass Water; Jason Robinson, CEO, Solar Buzz Jamaica and Zachary Harding, Founder and CEO, Hyperion Equity LLC, take a photo on the roof of the University Hospital of the West Indies Children's Ward following the successful installation. 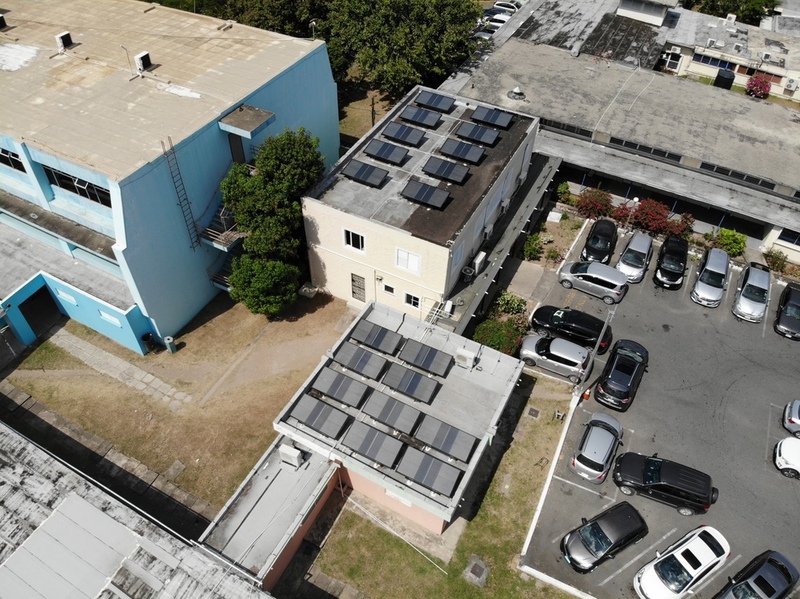 Solar Buzz Jamaica has successfully completed installation of a completely off-grid and self-contained hydro panel system, which will produce drinking water from sunlight and air at the University Hospital of the West Indies (UHWI) Children’s Ward. 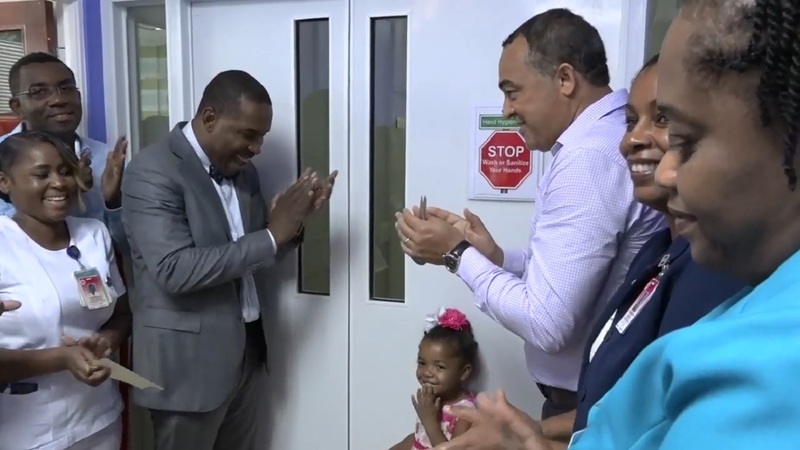 The technology, called Source, uses advanced water capture technology (a source unit) to make water from sunlight and air – 20 Source units were installed at the UHWI Children’s Ward, with each unit estimated to produce four to 10 litres of water a day depending on weather conditions. The units produce water best in low to medium sun and humidity. Solar Buzz, which provides alternative energy solutions through solar systems, partnered with US-based company, Zero Mass Water, the pioneer of the Source unit technology on this project. 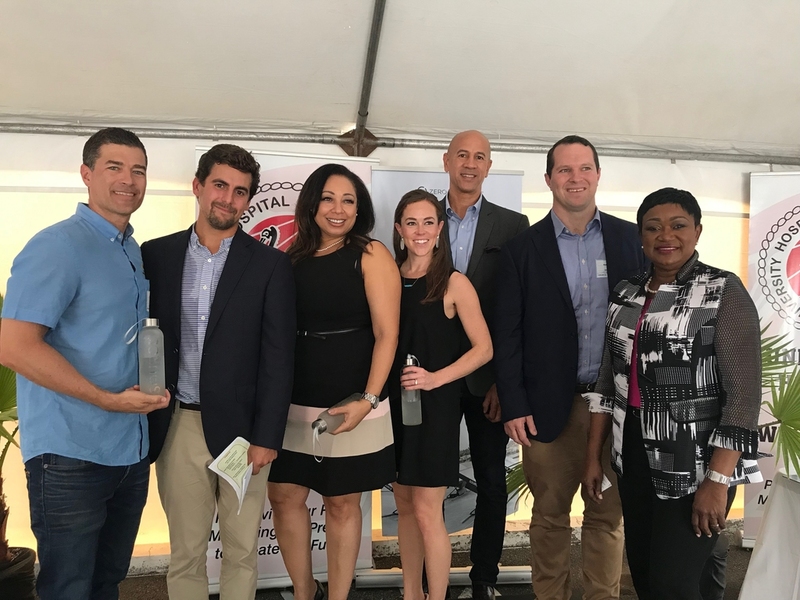 From left to right: Jason Robinson, CEO, Solar Buzz Jamaica; Nate DeFlavio, Business Development Manager - Caribbean Islands, Zero Mass Water; Raquel Moses, CEO, Caribbean Climate Smart Accelerator; Joanna Eagan, Director - Business Development & Sales-North America, Zero Mass Water; Zachary Harding, Founder and CEO, Hyperion Equity LLC; Robert Bartrop, Executive Vice President - Global Business Development, Zero Mass Water and Minna Israel, Special Advisor to the UWI Pro-Vice-Chancellor. 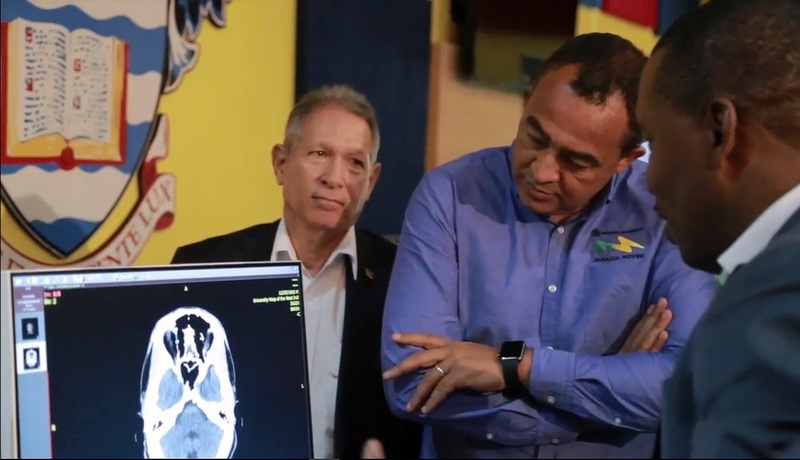 Following the soft launch of the Source units at the hospital last week, Jason Robinson, Chief Executive Officer at Solar Buzz Jamaica shared that water samples from the units were sent overseas for testing and all water samples passed. Robinson noted that the Ministry of Health are currently doing their final checks before the water dispensers are fully open to the public. “Solar Buzz is very excited about our new partnership with Zero Mass Water as we believe that every hospital and school should have these Source units in order to provide clean and reliable drinking water, while reducing the use of plastic bottles as well as a dependency on the traditional means of getting water”, Robinson said. Robinson also noted the benefit of the unit in the case where the National Water Commission is unable to provide water to an area. Other benefits he noted include the reduction of water bottles, projecting that the units at the hospital could save over 1,000,000 plastic bottles over ten years; a step in the right direction he says with the country’s ban on plastic bags. The Source units carry a warranty of five years, with an expected life span of 15 years.